Whether you are on an ambitious island vacation or sitting at home with a book, coffee is America’s favorite way to wake up in the morning. Sleep in late on vacation, and know that coffee is never far away when you want it. 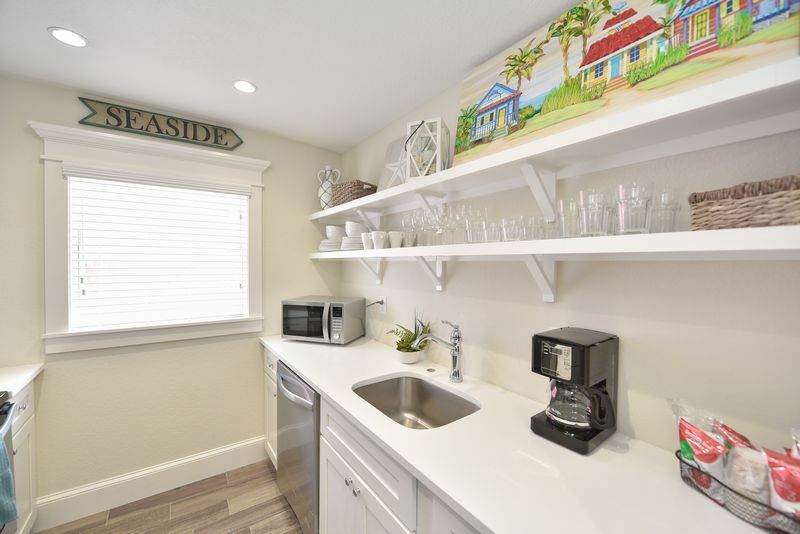 Our luxury Siesta Key hotel rooms offer full kitchens or kitchenettes supplied with coffee and coffee makers to start off each day in the best way possible. Explore the many top attractions and activities of Siesta Key after a slow morning enjoying your resort room. But if you find yourself craving a splash of espresso or a nice rich latte at some point, check out some of our favorite local Siesta Key coffee shops. Enjoy coffee each morning in your boutique hotel room, or walk just steps to one of 2 nearby coffee shops on Siesta Key. Some coffee spots seem to be there to ride a trend or just offer a nice coffee and not a whole lot else. Local Bean is anything but boring and drab. The décor is colorful and local-centric, making sure to spotlight what makes Siesta Key a heartwarming and wonderful place to live and visit. 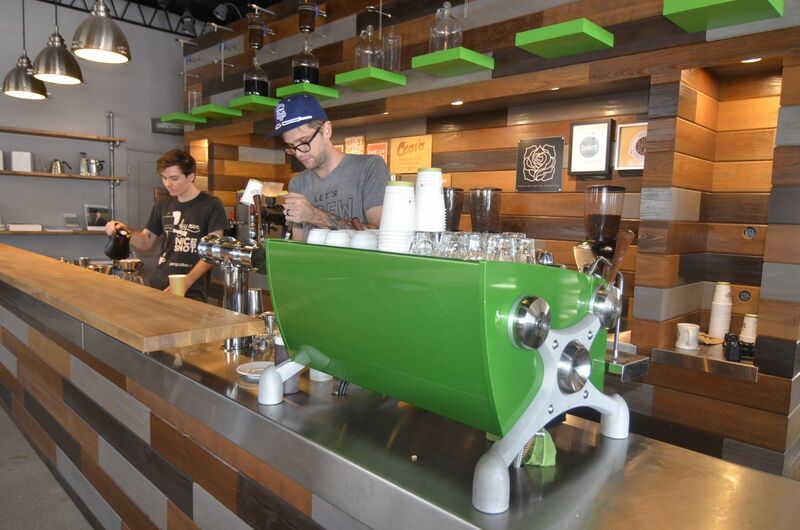 What else makes this coffee spot special is that it has organic and fair-trade brews. Local bean adopts the ethos and culture of coffee drinking and not just the tastes. With that said, Local Bean has some amazing concoctions. Coffee-wise you have all the major staples, from bold lattes to warm cappuccinos. You get that extra touch of love with every cup- the foam floats in the shape of a flower, heart, or some other delightful image. The location offers more than coffee. Visitors can find eye-catching pastries, such as the blueberry scone or the chocolate chip muffin bread. You can also have a light lunch with a BLT, bagel, or other basic lunch treats. Local Bean is located at 5138 Ocean Blvd, Siesta Key, FL 34242. It is open every day from 7 a.m. to 2 p.m. so late-day coffee drinkers may have to improvise. Looking for a good spot to hang out on Siesta Key? LeLu Coffee has a cozy inside and an open patio in the front and back of the building. LeLu Coffee places added emphasis on delivering a bold coffee taste first and foremost. You have all the standards and then some: latte, mocha, Cubano, frappe, cappuccino, and more. This Siesta Key Village coffee stop likes to offer a range of coffee flavorsand not just styles. For example, you can find selections from Cuba, Jamaica,Mexico, and Hawaii. Unlike many coffee spots that focus on one roaster, LeLudips into multiple parts of the world for a seasoned and varied coffee menu. Lelu is also well-known for its eccentric array of fancy smoothie drinks. These include the Island Coloda, Mango Passion, or Succulent Strawberry. Complement a smoothie with a bite from a flavor-filled pastry. Highlights include the dazzling Chocolate Mousse and the local favorite, the carrot cake. While LeLu Coffee keeps coffee at the front of its operations, you can still enjoy a full menu, for breakfast and lunch. To top it all off, you can get alcohol. For the evening, the location pivots from a coffee café to a coffee bar. This includes a selection of options, such as bailey’s, Kaluha, Tia Maria, Remy, and a lot more. There’s also a broad selection of non-coffee drinks, including many margaritas and plenty of martinis. The Perq Coffee Bar is one of the best if you are looking for barista skill and single origin roasts from around the world with descriptions like “rich notes of caramel and cocoa with nutty finish”. This is the perfect spot to claim a table, pull out your laptop, and get some work done. They’ve got a few baked good options to go with your coffee, but you won’t be disappointed by the coffee shop’s atmosphere or the delicious beverages headed your way. Sometimes you want something familiar and cozy. This is where Starbucks can help. There is no Starbucks on Siesta Key, but there is one in south Sarasota. It makes for a great morning or afternoon stop on your way to or from Sarasota for the day. The address for the local Starbucks is 4321 S Tamiami Trail, Sarasota, FL 34231. Siesta Key is a wonderful and colorful place to visit. The locals love their coffee. But just as importantly, they love to have a good time. Siesta Key is known for the Village nightlife and restaurants, and our beach resort is just steps from all the best spots!